I laughed cried and marveled at Won’t You Be My Neighbor, the biography of Fred Rogers, the host of Mister Rogers’ Neighborhood. I didn’t grow up watching Mister Rogers’ Neighborhood and was amazed by the thought Fred Rogers put into each episode and the range of current topics he addressed. 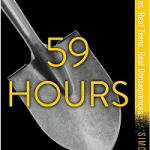 He looked nerdy and trained as a Presbyterian minister; he was a man on a mission. He chose children’s television as his means to nurture young children and help them make sense of the world. He was very concerned about people’s feelings and making personal connections with his viewers, speaking directly to them and looking into the camera as if looking into their eyes. 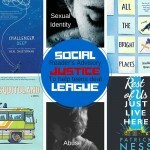 I think a teen Fred Rogers would enjoy books that do the same sort of thing. Mr. Rogers talked a lot about dealing with uncomfortable topics and feelings. 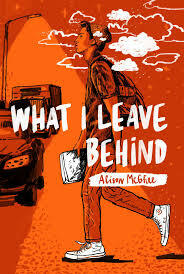 I think teen Fred would enjoy What I Leave Behind by Alison McGhee because he would want to help Will deal with the tragedies he is dealing with. I think the idea of the 100 Chinese blessings would appeal to his sense of the spiritual. I also think the format, 100 chapters of 100 words, would appeal to his Mr. Rogers persona, who spoke clearly and plainly, not wasting words. 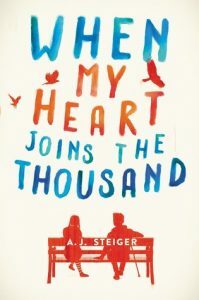 Being a neighbor is all about making personal connections, so I would recommend When My Heart Joins the Thousand by A. J. Steiger to a teen Fred, who had a soft spot for the different and downtrodden. Alvie is clearly on the autism spectrum, yet, as we follow her pursuit of emancipation, we come to love her and get a glimpse into the challenges people with autism encounter in their day-to-day lives and sustaining relationships. Fred Rogers began his career when television was in its infancy. He saw the power of the new medium to connect to young children. I think a modern teen Fred might see the potential in the modern medium of text messaging. 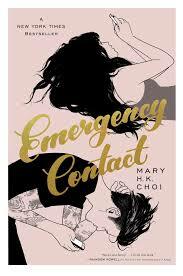 In Emergency Contact by Mary H. K. Choi, we see how text messages can also lead to personal connections. A chance encounter leads to Penny and Sam becoming each other’s emergency contact. With each other’s contact info in their phones, a relationship that begins through texts becomes something more meaningful. Mr. Rogers was a pioneer in many ways, not the least of which was for inviting Officer Clemmons, who was Black, to cool his feet in his kiddie pool. It was 1969 racial tensions were high and swimming pools were segregated in many places. It turns out that Francois Clemmons, who played Officer Clemmons, was also gay and was told he could not be out and have a recurring role on a children’s program. So, he got married to cover his sexual orientation. 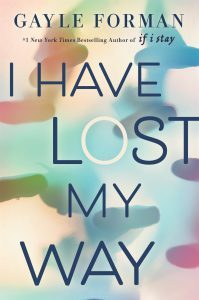 I think encourage teen Fred to read I Have Lost My Way by Gayle Forman. 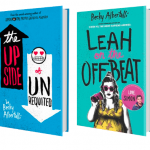 It weaves together the stories of three young people who have become disconnected from the world. 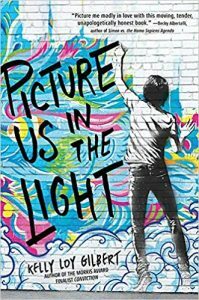 In one of the stories, Harun, a gay Muslim, is on the verge of traveling to Pakistan to get married to cover the truth he cannot tell his parents. Finally, I think young Fred would be disturbed by the current situation of refugees and immigrants who come to this country legally or illegally. 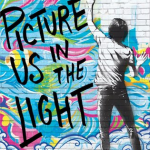 Picture Us in the Light by Kelly Loy Gilbert combines a story of academic pressure, suicide, and illegal immigration in a poignant tale that humanizes all three issues without being preachy. Have you read “The Wisdom of Big Bird (and the Dark Genius of Oscar the Grouch): Lessons from a Life in Feathers” by Caroll Spinney? I had the same reaction you did to “Won’t You Ve Ny Neighbor”. They were doing so much more than entertaining children.